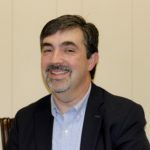 Jerry, a graduate of the University of Virginia’s McIntire School of Commerce, brings over 20 years of business strategy, marketing and management experience to his role as President of Covenant. Prior to spending time as a marketing strategist with Access, Inc., a full service advertising and public relations agency, Jerry served as state agency manager for the extensive agent network of Lawyers Title and Commonwealth Land Title in Virginia and West Virginia. Adept at project management of multi-site transactions, Jerry is not only setting the strategic business direction for Covenant, but can assist our clients with any real-estate related services that will enable them to efficiently and effectively manage their transactions.